Information is meant to be shared. ReportPath enables users to define saved reports and use queries to extract information quickly and easily. Other users can add these same saved reports and queries to their My Reports part, but sometimes you simply need to generate a report (or set of reports) to share with a group for further analysis and discussion. Or, you may want to write the report/query output to a network folder where it can be easily accessed by other employees. Before ReportPath, it meant manual steps or expensive customization. With ReportPath, report output is easily shared with others. 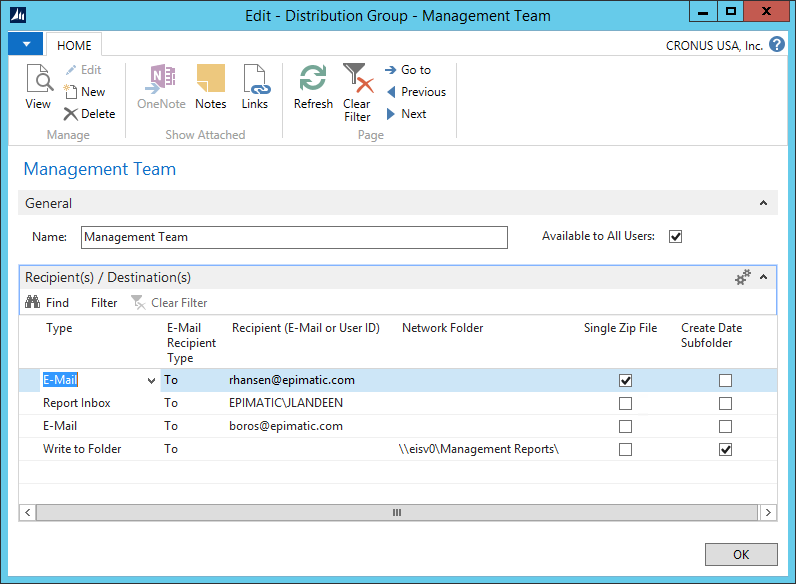 Define Distribution Groups such as the “Management Team” where recipients can be identified. 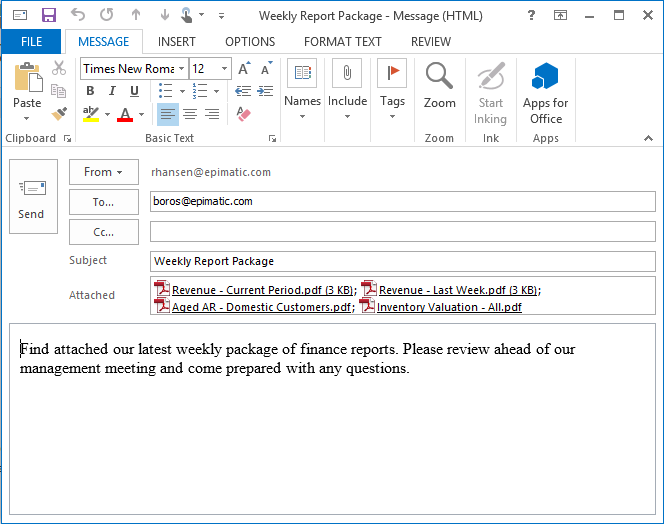 Send to recipients through email, or by writing the report output directly to their role center Report Inboxes. To write reports to a network folder whenever the distribution group is used, simply add a “Write to Folder” line specifying the destination. 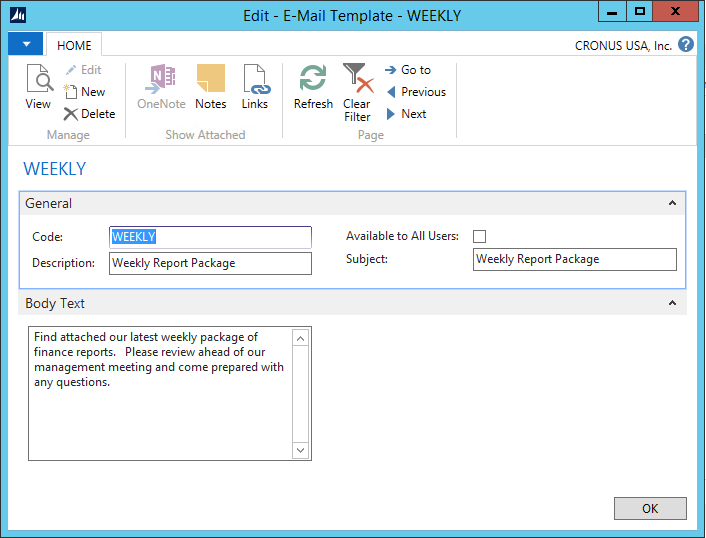 Create E-Mail Templates to define the subject line and body text for distributed report messages. With a couple of clicks, generate a full set of reports using Dynamic Filters [Read more…] based on the current date. Eliminate the time spent sending information out to people. Spend the time analyzing the information and making decisions instead.